Or borrow the Kindle book for free when you're a member of Amazon Prime. The author gets paid more if you borrow it, than if you buy it! Note: The index is hot-linked. Click on the topic, and it takes you there. 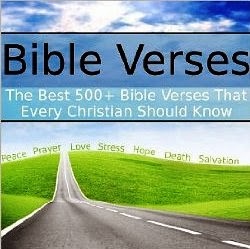 The verses inside are relevant and meaningful, perfect for reading one or two per day or if you would prefer, read the whole thing at once! "I chose this book because I want to be able to memorize bible verses and this book is full of them. I love it because it gives verses for any emotion you might be experiencing at the moment. A good book for the price and I would recommend it to any one who needs encouragement from day to day."